3D laser scanning helps both new and old facilities to develop comprehensive and precise CAD-based 3D models of their processing areas by converting point cloud data. This remarkable tool can be applied to prepare engineering drawings, piping isometrics, or virtual 3D walkthroughs. 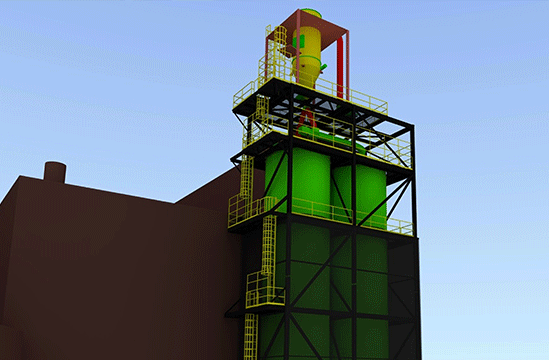 In addition to typical applications, the detailed 3D modeling can be used for asset documentation, incident investigation and capital upgrade planning. This emerging technology has already been integrated in our project delivery services and proven in numerous processing facilities. 3D laser scanning services take site documentation to new levels of accuracy and precision with greater efficiency than ever before. We can obtain more data faster, more affordably, and with less risk to personnel and products—even in complex or hazardous environments. Photogrammetry is an alternative to 3D laser scanning that takes normal, digital photos and turns them into 3D models that can be navigated and modified. Some benefits of photogrammetry include not needing any specialized equipment, more accurate representation of textures and colors, and less investment of modeling time and resources.